This is where we like to kite! Jon ‘Two Fin’ Turner looks like he has perfected the video plane and took it out on what can only be described as a beautiful day. 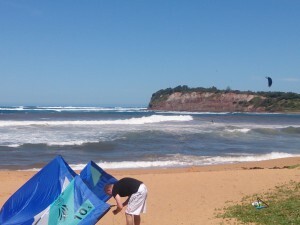 He’s launched from the top of Long Reef headland and flown around a few beaches filming the sups. Magical. There is a good flight over Fishermans Beach showing where all the rocks are too, I’m pretty sure at one point you can see some of Jon’s missing fins on the reef!